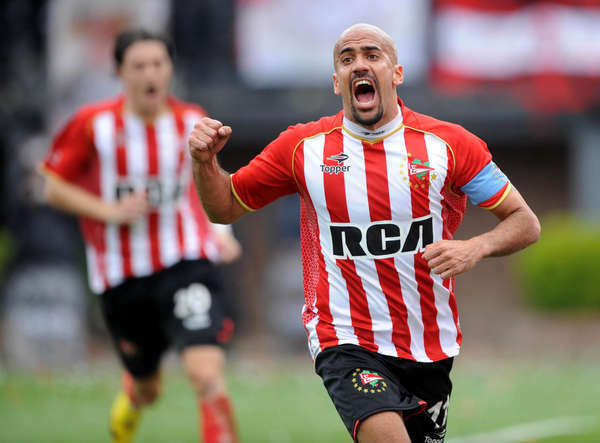 The fourth round of the Torneo Apertura 2010 finally came to an end four-and-a-half weeks after it started on Wednesday afternoon, with Estudiantes’ 2-0 victory over Gimnasia y Esgrima, which left Gimnasia without a manager. Federico Fernández headed the Pincha into the lead in the 37th minute, and when Seba Verón was pulled to ground inside the box in stoppage time at the end of the first half, the referee awarded a penalty which Verón picked himself up to score. Incredibly, La Nación’s canchallena.com reckon the penalty shouldn’t have been given. You can see how wrong they were on the goal video right here.